The PAYCE Foundation is standing shoulder to shoulder with some of the country’s most marginalized people. 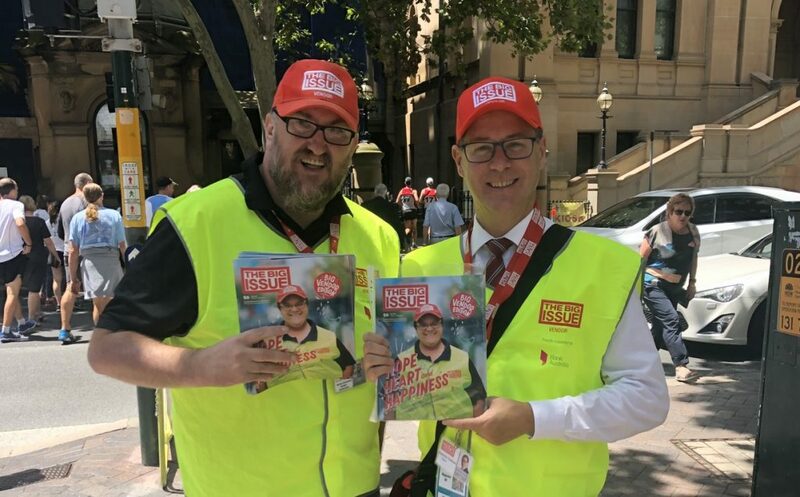 PAYCE Foundation Director Dominic Sullivan joined The Big Issue’s CEO Selling Event in Martin Place, Sydney. 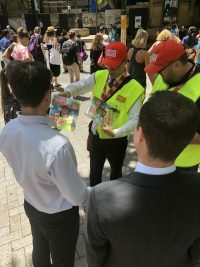 The magazine is one of Australia’s great social enterprise success stories. 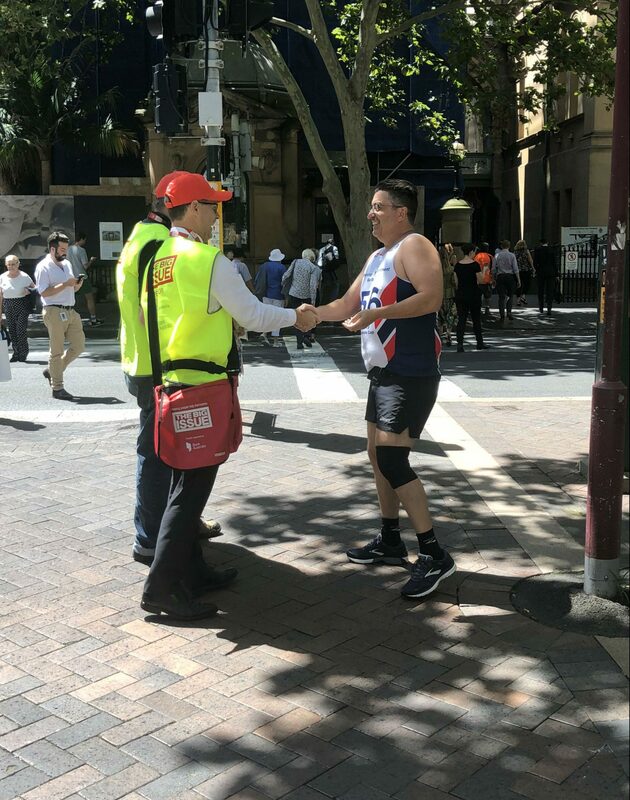 Dominic teamed up with The Big Issue vendor Marcus who has been selling the magazine for more than 15 years. “The Big Issue is a great magazine but what is truly amazing is what it does for the vendors,” Dominic said. “Marcus’s life has taken a turn for the better and his work over many years is inspirational. ‘’I am not surprised he is considered a mentor by other vendors with his length of service. 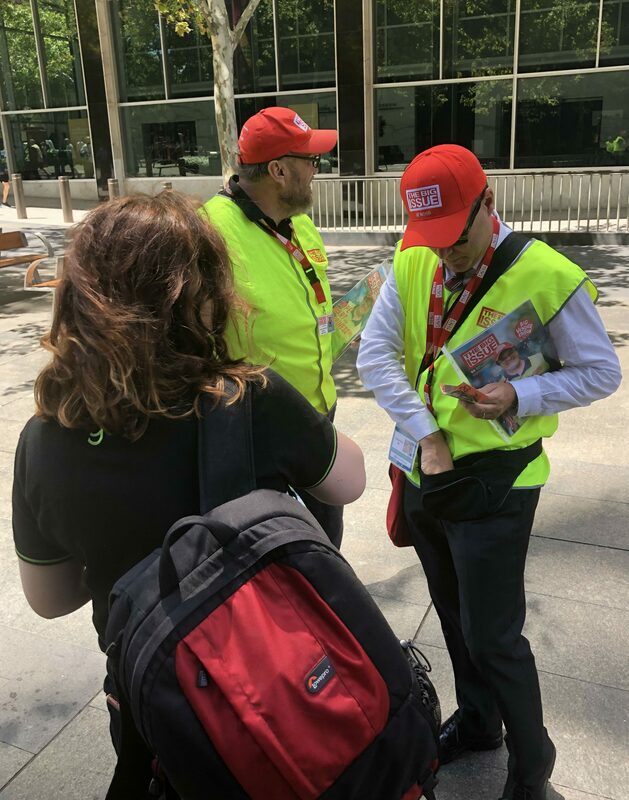 The PAYCE Foundation is also a member of The Big Issue’s Enterprise Big 100 campaign by taking up multiple corporate subscriptions to the Big Issue Magazine. Each corporate subscription helps 10 women in need earn an income in return for packing and preparing the magazines for dispatch.